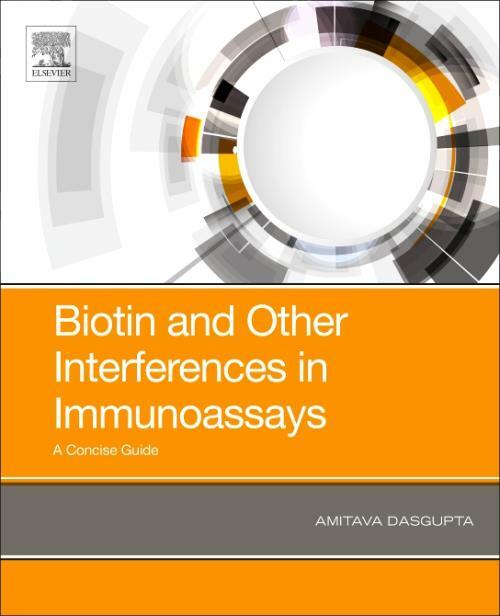 Biotin and Other Interferences in Immunoassays: A Concise Guide is aimed at clinical laboratory scientists, medical technologists and pathologists who are often the first individuals contacted by a clinician when a laboratory test result does not correlate with clinical presentation. Research scientists working in diagnostics companies will also find this information essential. Sources of errors in non-immunoassay based methods used in clinical chemistry and toxicology laboratory are also discussed so readers can get all important information from one concise guide. This succinct, user-friendly reference provides the necessary information to address high levels of biotin in clinical laboratory results.